Ten top performers reveal how they squeeze the most out of every day. On staying busy: “Once you’ve accomplished a goal, you’re all done. And I don’t ever want to be all done.” On collaborating: “I don’t walk into a meeting with a ‘me, me, me’ attitude. I walk in and say, ‘How do I become your partner?’ ” Read more. Time he wakes up: Between 4:30 and 5:30 a.m.
“When I worked at Microsoft for nine years and didn’t have kids, I would often stay late, polishing some presentation for the next day. My best friend had two kids at the time, and she had to go home for dinner—she didn’t have a choice. If you have to be home, you squeeze a lot into the last hour. Being a parent taught me to task-shift very quickly. But it also taught me to take pauses.” Read more. “In fashion, you cannot make a decision with 100% of the information. You can collect all the data and conduct all the focus groups, but that is a picture of the past. You have to [make decisions] based on demand, feelings, rationality, and emotions. Why do you go into the shop to buy something? Because you are emotionally driven. Nobody needs any more bags and suits. Sometimes you see shows for luxury companies and you say, ‘My God, that is so boring. Why did you need to do a show for this?’ If you don’t take risks, you’re going to lose. . . .We are not a consumer-goods company, we are a luxury company. We have to create demand even if the people aren’t ready, because in 18 months, they will be. “A giant part of my job is running the business, but I need most of my time for creative work. A lot of that involves shutting off everybody else. I have a rule that you’re not allowed to come into my office unless you have a solution—not a problem.” Read more. Time she wakes up: 5 a.m., to spend time alone before her kids wake up. “Nothing makes me happier than a product review in which I can sit with the team and they’re showing me something they’re building. Being able to react to it and think through, ‘When users get this, what will their feedback be?’ I’m always on a quest to do that better and do more of it.” Read more. “Restaurants have informed everything I do. The kitchens that I grew up [working] in were serious food environments. That kind of teamwork, where different people are working on different aspects of the same thing and it’s all meeting at a certain place, is how I run all of my businesses. A lot of it is cadence. We have a rhythm in our company that I think has been the saving grace. We have weekly management meetings that take place whether I’m in town or not. Waiting for the guy at the top who’s overextended can sink a lot of businesses. I employ people whose job it is to keep me from procrastinating. I’m very transparent about my need to get help. A lot of people think talking about the problems they have is a sign of weakness, but I think it’s a sign of strength. If you’re a successful business leader and you have problems with procrastination, everyone in your office knows it. Everyone! How he handles stress: A deep-breathing exercise he learned from his Pilates teacher. Time she wakes up: 6 a.m.
“When I’m doing one thing, I’m really focused on that one thing. I have no to-do list. I put everything on a calendar, [which helps me] know that this call is going to take 15 minutes or that this is a 25-minute project. The calendar also helps me create artificial deadlines. When I was writing Too Big to Fail, I would spend three or four hours doing that, and then I’d switch gears to writing daily stories or columns [for The New York Times] related to the financial crisis, and I would have to force myself not to think about [the book].” Read more. Time he wakes up: Between 3:55 and 4:25 a.m.
“I was a Division I college athlete, and I grew up with five brothers and two sisters. I’ve always been a competitor. [But] I’ve learned that productivity should not be a competitive sport. You’re never going to win. “I am responsible for almost 80,000 people. I prioritize people over tasks. One Note allows me to put different tasks [involving] each of my executive-team members in a tab. That way when I talk to them, I can be more effective, because the five things I wanted to talk to them about [are right there]. Time she wakes up: Between 6 and 7:30 a.m.
“I was diagnosed with ADD as a kid and needed to take Ritalin. But as an adult, I’ve figured out how to make it work for me. My mind wanders when it’s quiet, so I listen to music to help me focus. I’m involved with the boots-on-the-ground distillery work, making sure instruments are calibrated and doing quality control. I also work on the more artistic side of production, creating new flavor profiles for Woodford Reserve. [It’s helpful that] my job requires me to bounce between a lot of different functions, because I can’t stay on one task for very long. 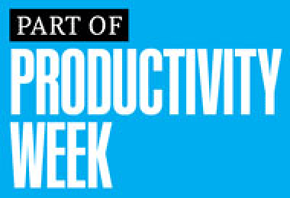 Click here to read more stories in Productivity Week.